I have received an email from one of readers, and she asked how to setup her custom email address using her domain name or webmail, like email@yourdomain.com in our computer, if you want to read about Gmail tutorial, please check this page out. If you are new to website building, also in WordPress, I hope this tutorial will help you. It depends on the Operating System you are using in your computer right now, but I guess the process will be almost the same. 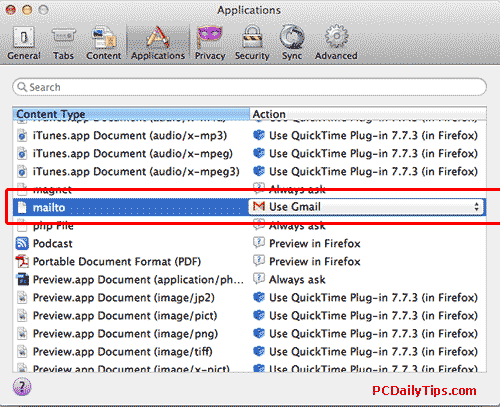 I am using Yosemite Mac OS X in this tutorial, if you’re also using Mac, there is a short and text tutorial how to set it up your mail on Mac. 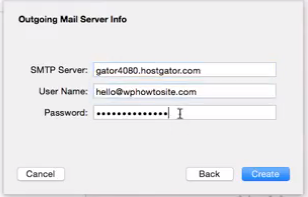 In the video I am using HostGator host, but I think it will work in any hosts you prefer. (Anyway I use HG for all my demo stuff, not that I recommend them). 1. Login to your cPanel, alternatively, you can do so by typing yourdomain.com/cpanel in your web browser. In this PC tip, I used cPanel many times to set up some stuff, including FTP client. 2. If you’ve created an email follow this, but if you have to create a new email address, please jump to step (3) below. 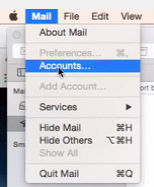 Type “Mail” in the “Find” box, and click “Email Accounts”. Then choose your email address, and in the “Actions” tab, you will see “More arrow button” click, and select “Configure Email Client“. 3. Please skip this step if you’ve created an email address (see step 2 above). Type “Mail” in the “Find” box, and click “Email Accounts”. 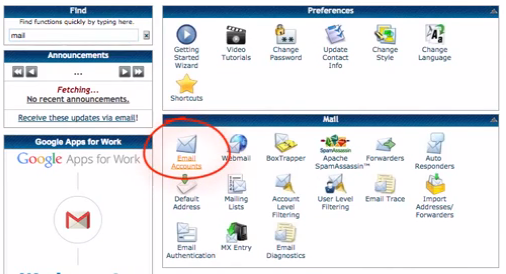 Under “Email Accounts“, create a new email address. Type your password 2 times, you can write it down this password so you can remember it later on when we set it up inside “Mail.app”. 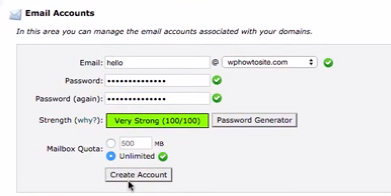 Just try the password that will give green “very strong” strength indicator. 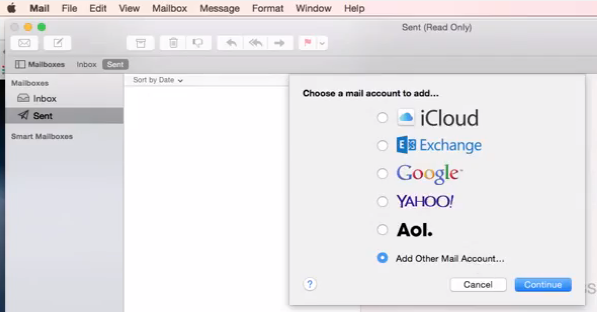 If it’s your first time setting up Mail, a pop up will show something like this screenshot. Click on “Add Other Mail Account” and “Continue” button. 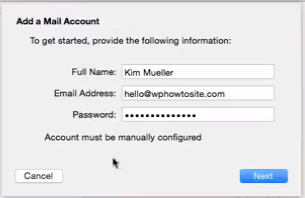 If this is not your first time setting up an account, you will need to go to manubar, “Mail” then select on “Accounts” this will open System Preferences, and you will see the “Internet Accounts” dialog box, and you can click on “Add Other Account…” option. Mail then click “Accounts” to add another email account. 5. Type your Full Name, Email Address, and the Password. Click “Create” then, “Next” button. 6. 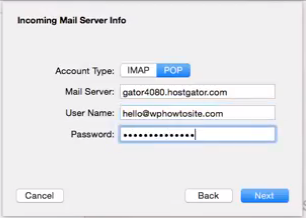 In the “Incoming Mail Server Info” click “POP” tab, and type the “Mail Server” (every hosts has different mail servers, so mine, is called gator4080.hostgator.com because I use HostGator for this demo, yours can be found on the manual settings which is labeled, Incoming Server). We’re done! How easy it was, now time to test your email address, in the video, I sent one from my gmail account. You can test, sending and receiving. However Mail needs a while to receive, if you cannot wait like me, you can close or quit Mail, and re-open it again, it will automatically receive the email. If things went ok, you will be able to send and receive, if not, then there must be something wrong like you type wrong password, or there is unwanted character in your email address.